Went for a wade by midday, started throwing 1/4 oz buzzbait, pretty much kept with it minus a couple attempts at other lures. Fish were slapping it all day. It was insane. Mostly missed at the ends and connected in the middle. Lots of small fish, but hey the crazy action is crazy action. 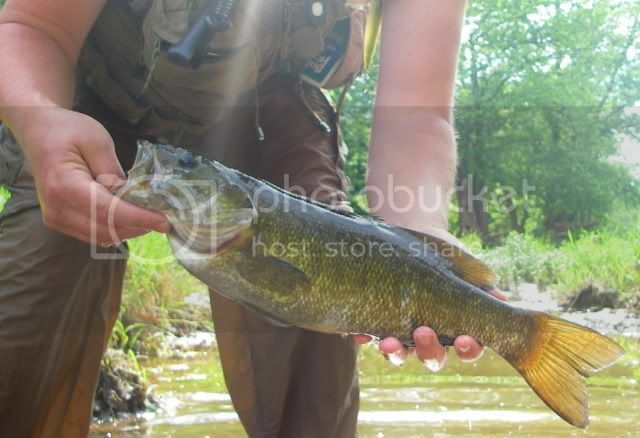 Lots of action in the riffles and just about everywhere but the deep slow middle of large pools. 72 SMB on the day in 9 hours!! (17.5, 17", 16.99, 16.5, 2 16, 5 15") 1 Goog. 65/73 fish were caught on buzzbait, 2 tube, 1 chatter, 2 sammy, 3 fluke. Probably only hooked up with slightly less than half the buzzbait strikes. Fun. Jeez, that's what I've been waiting for. There should be a great class of fish in 3-4 more years. 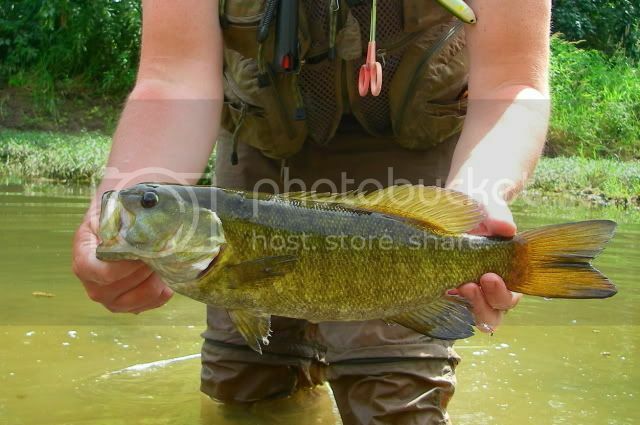 My fishing log reports a drop from 20% Smallies 16"+ down to 16% because of th elast two trips. 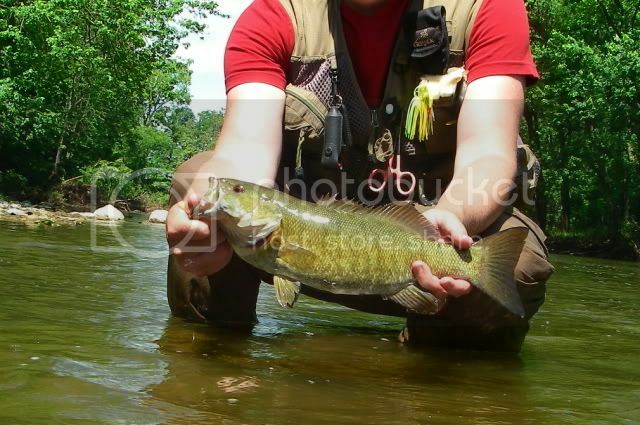 I haven't caught a fish bigger than 17.5" since May 17th. Where did they go?